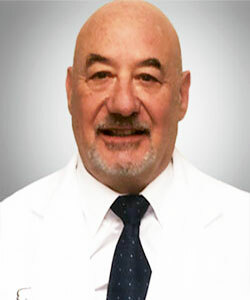 Dr. Bob Baravarian is a Board Certified Podiatric Foot and Ankle Specialist. A Diplomate of the American Board of Podiatric Surgery and one of only a handful of foot and ankle surgeons to have both foot and reconstructive rearfoot and ankle certifications as a Fellow of the American College of Foot and Ankle Surgeons. Podiatrist Dr. Baravarian is available for consultation at the Santa Monica and Sherman Oaks University Foot and Ankle Institute offices. To schedule an appointment call 877-989-9110 or click here. 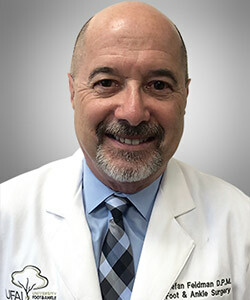 Dr. Gary B.Briskin is co-founder and co-director of The Foot and Ankle Institute, board-certified and served his residency at Flint General Hospital in Michigan. He then established a practice in Century City Hospital, where he became chief of podiatric surgery. 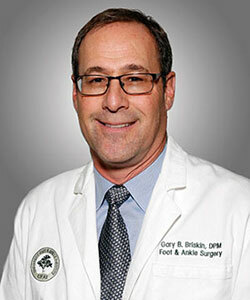 Dr. Briskin also serves as an assistant clinical professor at the UCLA School of Medicine and is a Diplomat of the American Board of Podiatric Surgery and a Fellow of the American College of Foot and Ankle Surgeons. A lifelong sports enthusiast, maintains a special passion for hockey and running. He parlays that same spirit into all aspects of podiatry: sports medicine, arthritis prevention and reconstructive surgery. Dr. Briskin is available for consultation at the Santa Monica and Manhattan Beach University Foot and Ankle Institute offices. After studying accounting and then leaning toward a physical therapy at Brigham Young University, Dr. Franson decided to pursue podiatry as his career. He then attended the School College of Podiatric Medicine in Chicago followed by a three-year residency program at the Greater Los Angeles VA and UCLA County Hospital. 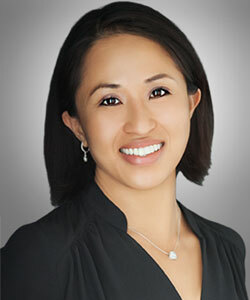 Podiatrist Dr. Franson is available for patient consultations at the Valencia office. 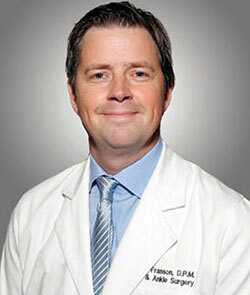 Dr. Carter received his medical degree at Midwestern University Arizona School of Podiatric Medicine. 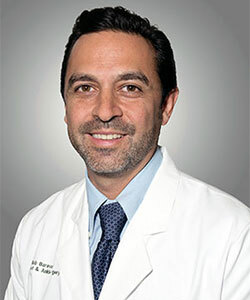 Upon completing residency, he received an additional year of training at the Silicon Valley Reconstructive Foot and Ankle Fellowship where he continued to train in sports medicine, arthroscopy, foot and ankle trauma, minimally invasive surgery, and total ankle replacement. When not working he enjoys running and looks forward to spending time relaxing in the sun or with his 10 year old corgi Kobe. Dr. Avanti Redkar joins UFAI under a fellowship in sports medicine and ankle reconstruction. Born in Pune, India, she and her family immigrated to Alabama when she was four years old, later settling down near Pennsylvania where she attended the University of Scranton. 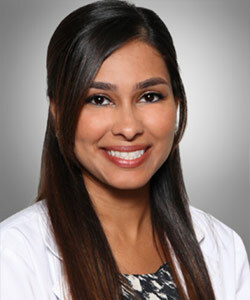 Dr. Avanti Redkar, DPM is available for consultation at our Mid-City Los Angeles and Beverly Hills locations. 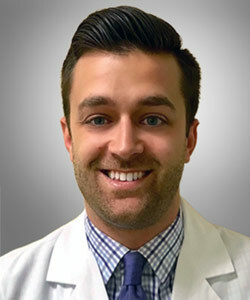 Dr. Charles Kelman made his choice to enter the field of podiatry during his final year of undergraduate study at the University of Michigan, where he earned a Bachelor of Science degree in biology. Dr. Stefan Feldman is board certified by the American Board of Podiatric Surgery as well as a Fellow of the American College of Foot and Ankle Surgeons. Dr. Feldman also supports several charitable organizations, including City of Hope, Wounded Warriors, melanoma-related causes, and volunteering at the Westminster Free Clinic. When not helping patients, Dr. Feldman is an active jogger and hiker, an activity where his wife and Golden Retriever often join him. He is also a certified scuba diver and novice golfer. Dr. Hamed Jafary specializes in trauma, reconstructive surgery, charcot reconstruction, ilizarov external fixation and sports medicine. 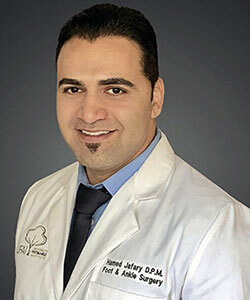 When not tending to patients at University Foot and Ankle Institute, Dr. Jafary utilizes his surgical expertise assisting those less fortunate. 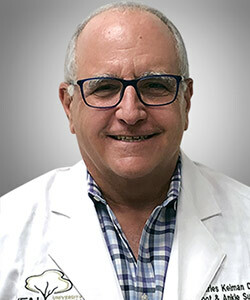 As a member of the Yucatan Crippled Children Foundation and Podiatry Overseas, he has performed hundreds of limb correction surgeries on patients in underserved countries. Dr. Jamey Allen understands her patients’ urgency to quickly heal from their sports injuries. After all, she’s spent her entire life playing a variety of sports including volleyball, and suffered numerous foot and ankle setbacks. 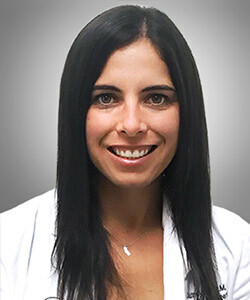 After graduating with honors from Kent State University College of Podiatry Medicine, she completed her residency at Cambridge Health Alliance, which is affiliated with Harvard University. Dr. Schwartz is a member of the American Board of Foot and Ankle Surgery and a Fellow of the American College of Foot and Ankle Surgeons. He received his board certification in 1986 and has a passion for serving the underserved. A stand-out physician, Dr. Schwartz runs Operation Footprint, a non-profit organization that provides training, medical supplies, and reconstructive surgery to Honduran children born with major podiatric disabilities. 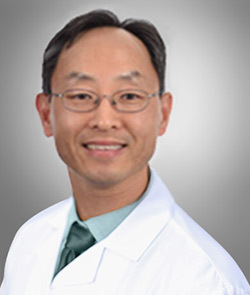 Dr. Shin has been serving the Los Angeles area since 2009 and strives to provide all patients with pain-free treatment options with minimal side effects. He treats patients from children to seniors, from a variety of backgrounds, using minimally-invasive techniques and state-of-the-art technology. 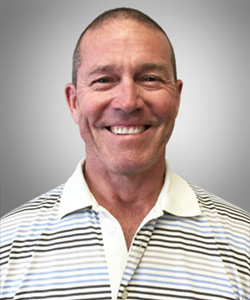 Gray O’Brien graduated with a Master’s in Physical Therapy from Long Island University and is a physical therapist licensed by the Physical Therapy Board of California. A lifelong sports enthusiast, Gray enjoys working with athletes of all levels with a special focus on orthopedic and sports rehabilitation. He specializes in foot and ankle pathologies and post-operative recovery. 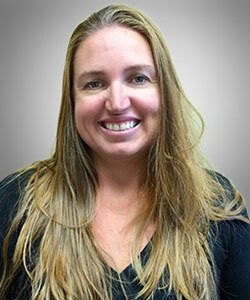 Suzanne Hawson has served as Director of Physical Therapy with UFAI, Valencia since 2006. She has been living and working in the Santa Clarita Valley for 11 years and is a five-time Ironman Triathlete. Suzanne is very involved in the athletic community of Santa Clarita and crosstrains with trail running, yoga, Pilates, and Crossfit. In her free time, she loves to travel and explore new cultures and cuisines. Suzanne is certified by the American Physical Therapy Association as a Board Certified Clinical Specialist in Orthopaedics. 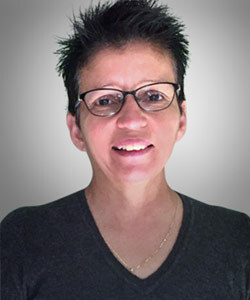 Lydia has over 30 years of clinical experience in outpatient orthopedic and sports medicine physical therapy. A longtime volleyball player, Christel turned her interest towards athletic training after sustaining a sport-related injury in high school. Christel earned her Bachelor of Science degree in Athletic Training from CSU Northridge in 2002 and continued her training at Cerritos College where she received her certification as a Physical Therapy Assistant. 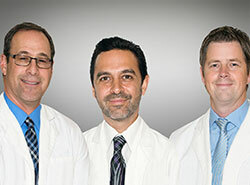 The UFAI Education Team is led by Dr. Bob Baravarian, DPM, FACFAS, Dr. Gary Briskin, DPM, FACFAS and Dr. Justin Franson, DPM. They review all content published on this website, its blog, in-clinic patient materials and all contributing writers’ content for medical and technical accuracy.